This is sort of silly, as I found this piece buried in the draft column – from December 2012. One friend made the observation after viewing the first, longer trailer, that it was “kinda crazy” and “I liked it.” I never pulled either one down. 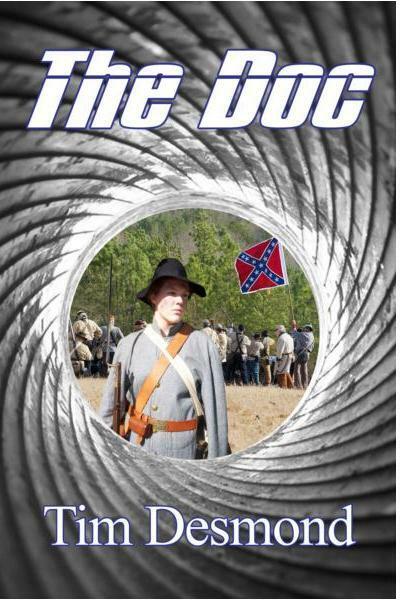 But until the new print version “The Doc revised edition” book trailer is up, these two are still about the basic story. Two versions of this book trailer are on Youtube, and both were severely edited. The first one was around two and half minutes long and needed to have shortened amount of running time. Youtube edited out some of what I thought were important shots. The second version that I sent in was a one minute-forty second version. Youtube cut that version down to thirty-two seconds. Available here is that version in its entirety, 1:40 seconds. I have heard both pro and con views on the value of book trailers. One editor/writer colleague told me that book trailers were nice but didn’t really help. Yet, another marketing and promotions guru lists books trailers as one of the seven basic needs. This entry was posted in Uncategorized and tagged agent, Art, author, book trailer, commerce, conspiracy, control, crime novel, daily blogging, domestic surveillance, editor, government, history, inspiration, Judicial, legal, marketing, novel, plots, problems, promotion, secrecy, Story, theories, video, Writer, writing, YouTube by timdesmondblog. Bookmark the permalink.